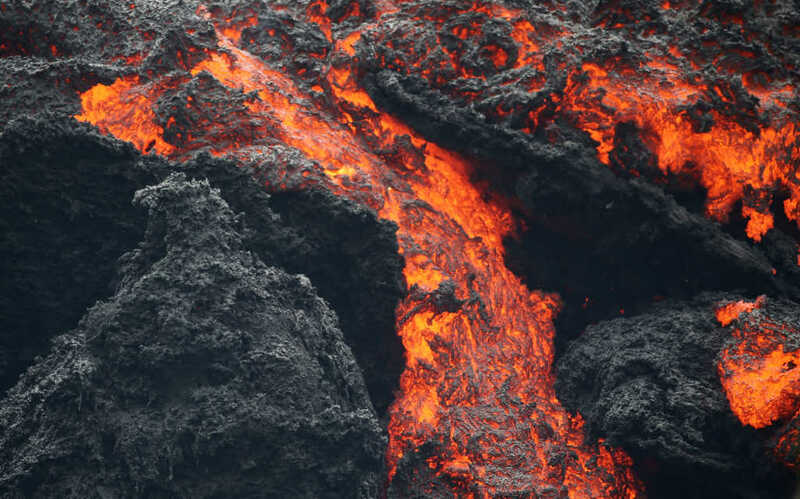 On Friday, President Trump approved a federal funding bill to help deal with the devastation called by the ongoing volcanic eruptions in Hawaii. The Kilauea volcanic eruption and earthquakes have forced evacuations and destroyed at least 36 structures so far, including 27 homes, on the state’s largest island, and officials are concerned the destruction could continue. Despite the uncertainty, the Hawaiian people have remained resolute and an inspiring example of courage in the face of fear. Despite evacuation orders that have displaced some 2,000 people, Griffith has chosen not to leave her home on the Big Island where molten rock has begun to burst through the ground. While Griffith’s home remains unscathed, local teacher and single mom Amber Makuakane lost her three-bedroom home to the lava, but her spirit remains intact. The Red Cross is on the scene on the island offering displaced residents a place to stay, and many are just as concerned for the safety of their pets as they are for themselves. As USA Today reported, the Red Cross shelters have welcomed all refuges — human and otherwise — with open arms. Kids play on jungle gyms alongside dogs, chickens, parrots and even a goose. Stocked with donated water, food, and pet supplies, the evacuation centers serve as a safe space for residents concerned about whether or not they will even be able to rebuild. One couple, Larry and Geri Butler who have lived in their Leilani Estates home for 15 years, learned it was destroyed after seeing a video on social media. But rather than dwell on what was lost, they have chosen to be grateful for their safety and ability to start over. Our thoughts and prayers are with the people of Hawaii.